It's been a while coming so when Meath grabbed promotion back to the top flight, nobody on the Páirc Tailteann pitch is in a hurry to get home. Amongst them is Graham Reilly. After Mickey Burke, he's the county's longest-serving player having started back in 2007. 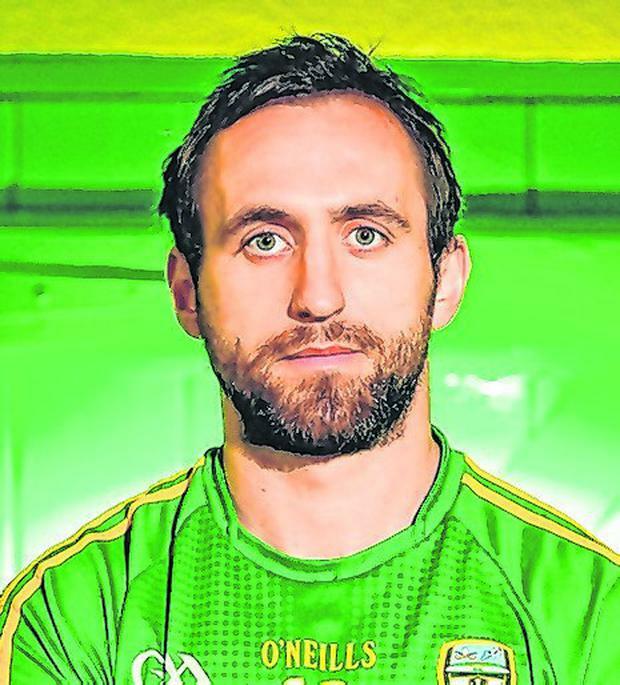 Reilly has played with the likes of Graham Geraghty, Trevor Giles and Darren Fay and in teams which reached All-Ireland semi-finals in 2007 and 2009 but insists this is the best Meath team he has been a part of. "It's great for the county," Reilly says. "You could see from the crowd today, the buzz, all the kids, it's the games they want to see next year. They want to see Meath-Dublin, Meath-Kerry, Meath-Mayo, all the teams like that coming to Páirc Tailteann and us playing in Croke Park because I firmly believe that this group is good enough to be playing there. "I've been around for the last 12 years and we've had some really good players, some really good teams, but this is definitely the best group of lads I've played with." And he believes the attitude Meath carry into games is the biggest difference between this and other years. "I think it's just a mentality that the lads have brought. That hard work is number one and if you're not willing to work hard then you're not going to be on the team. It's as simple as that. I for one could be faulted over the last number of years for maybe not working hard enough when I don't have the ball. If I don't work hard enough, I won't be playing. That goes for 1 to 30, there's so much competition to get into the 26, to get into the 15. Lads when they come in are taking their chances. "We've been so consistent throughout the league. Our backs have been so steady, they've been so good it's just brilliant. It gives us a platform that we can trust our full-back line, our half-back line. Probably in previous years we were maybe a bit too defensive but now we're just going for it. "Obviously we're not naive in how we're playing, we are getting numbers back when we need to. The way they play you're going to have to get bodies behind the ball as well. But going forward it's just brilliant for the county and brilliant for the players to be playing Division 1 football next year." Of the ten teams to go up to the top flight in the last five years, half have come straight back down. And Reilly acknowledges that Meath will have to improve next year. "All of the players, the conditioning that we're in and the fitness that we have, we're all in Division 1 condition. Footballing-wise, we know that's going to have to improve. It's going to have to go up through the roof. These top teams, Dublin, Kerry, Galway, Tyrone, they just don't give away the ball very cheaply. You could see at times today, we gave the ball away cheaply. "What's got us through the league is just basically our work rate and our appetite to get out of Division 2. I've been there 12 years myself but we've a lot of new lads who have been playing only in the last two or three years but they're sick of playing Division 2 football already. "We as a county had probably accepted that we're at a Division 2 standard rather than the mentality that Andy has brought in that we have to be a Division 1 side, all the All-Ireland winners, all the championship winners from the different provinces are all playing Division 1 football."